Hello! No, we’re not going to have extra coffee because we didn’t have one last week! Sorry about last week. It was a reflection of quite how tired I was after the run I’d been training for. I had a few aches and pains and we’d been celebrating in Manchester that afternoon which actually included quite a bit of walking in itself. I celebrated with pancakes and by the time I got home all I wanted to do was sleep. After I debriefed Moo on the day, that’s what I did. I haven’t done any exercise this week other than going for some walks with friends. It’s been nice, but I want to get back on it, in some way, with a vengeance next week. I haven’t been sleeping great still, except literally the night after the race. The other Friday (two Fridays ago) I woke up and did my usual thing of checking the time to see if it was worth getting up rather than to continue tossing and turning. The time was 4.04. As I was checking Timehop the next morning, I’d found a screenshot from a friend who was awake at the exact same time on the exact same day 4 years before. I suspect that she was going on holiday though. There have been some other things. I was walking round town yesterday and I heard a car revving loudly. It was trying to get past another car in a car park. It did so and accelerated at high revs in my direction and fully the mounted the pavement forcing me to get out the way before slamming on to drop someone off at the cinema. I couldn’t help but shout, “what are you doing?” and got a reply from a friend of the guy’s, “he’s Scottish, he’s a nutter.” Oh, that makes it alright then. I took his number plate, more in threat than anything else. When I walked round the back of his car he had a bumper sticker. “How’s my driving? Ring 0800-FUCKYOU” Summed up his attitude perfectly. And then today, I was driving home in a queue of traffic when two women and a man / low-life scum crossed on a footpath. He punched one of the women repeatedly in the head until she fell over and then walked off. There looked to be no provocation and the women said that they didn’t know him but nor did they want to get police involved. To disappoint me even more, I was the only person in the queue of traffic to stop to help, despite the incident being in full view. I don’t know if I’m just missing something nowadays. 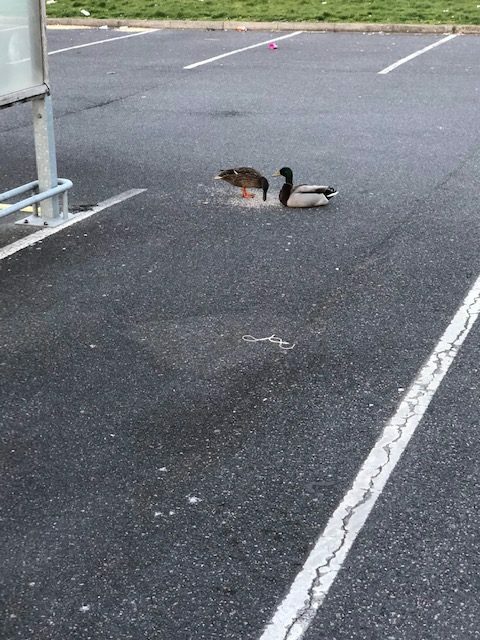 I saw ducks just casually hanging out in a car park. 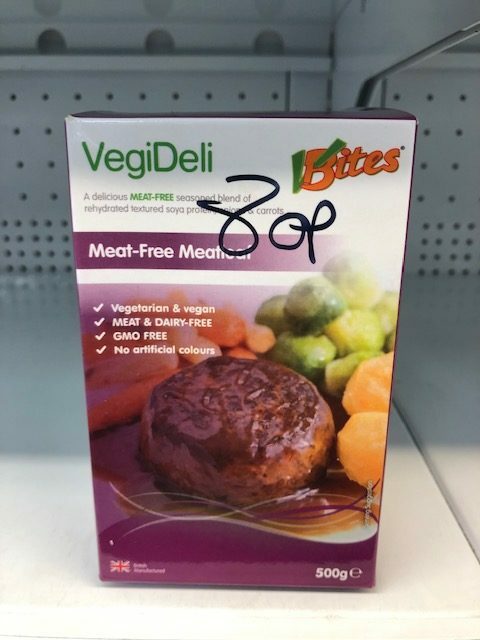 I saw meat-free meatloaf. So “loaf” then? 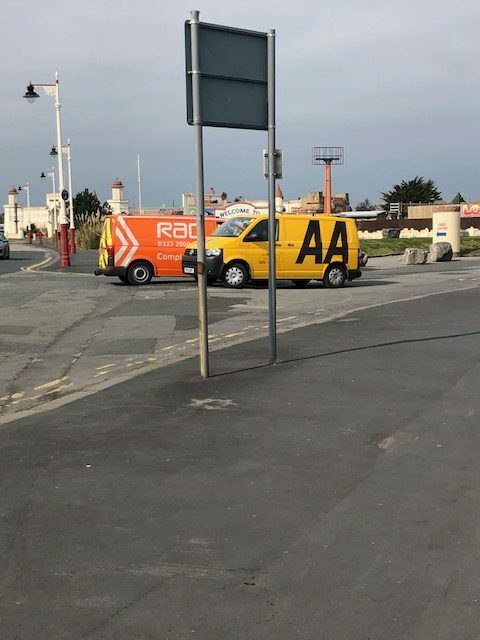 I really wanted to know what these two competitors were discussing. I kind of hoped they were dissing each other and telling each other to stay off their turf. And I got a lot of new Pokemon. I hope you’ve had a good week. 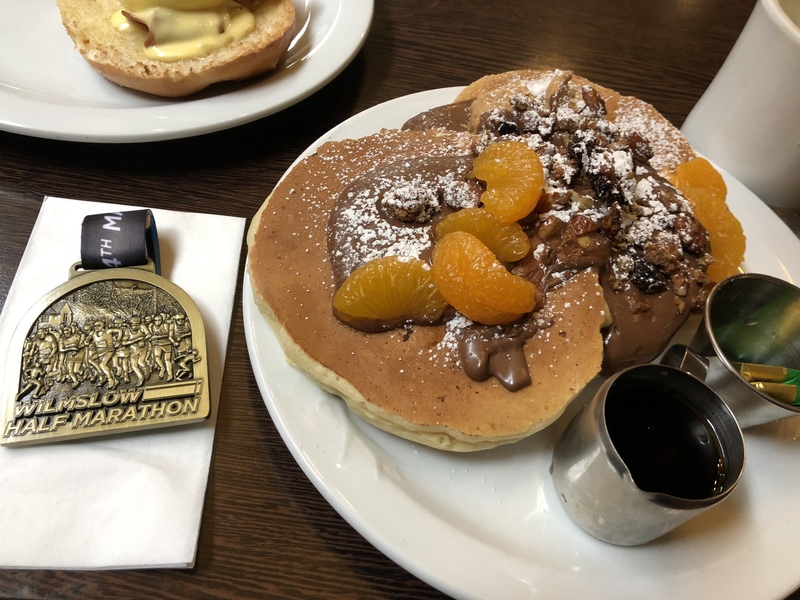 Post half-marathon, I hope that normal service will resume next week.